i remember i was sitting in 8th grade math when they turned the tv's on to show the ground-breaking news in nyc. 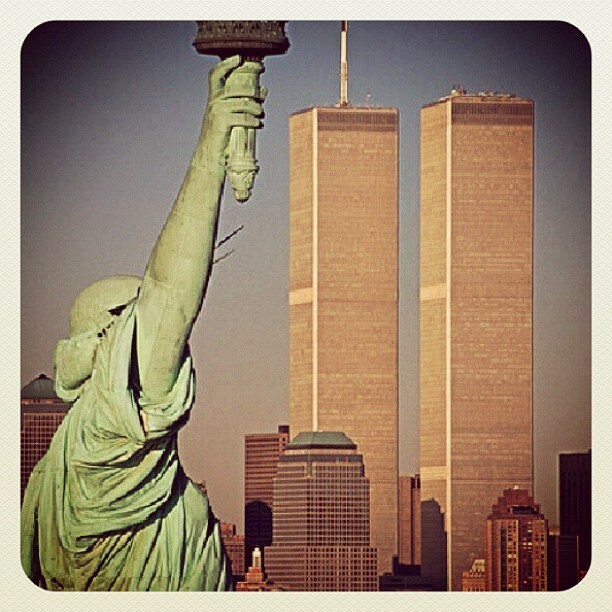 i had really never though of myself as a very "patriotic" person, especially at 14, but there was definitely a feeling of pride in the people who represented our country so amazingly that day. it kind of puts things in perspective. the true "heroes" may not be the star athletes or the rich and famous anymore, but the people that risk their lives for mine so i can live happily in my beautiful country.